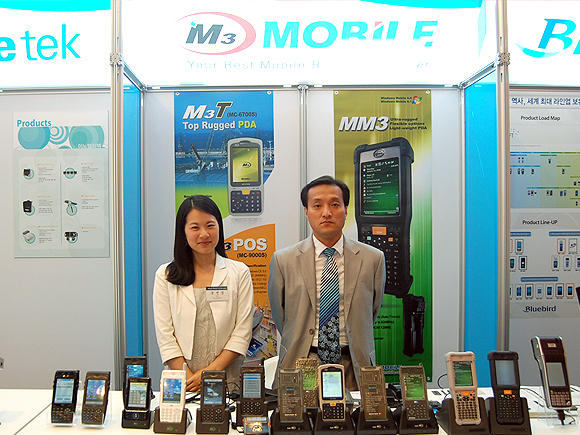 ▷ Nam Goong Min the 5th Head of operation (From 2009/04/13~ to 2011/04/13) of the postal service ministry has shown deep interests on M3mobile products which is now used on postal service. Postal service ministry has built postal system called ‘PostNet’ to keep up with u-Post era, they now have connected post office, toll center, post man together, for real-time control of receipt, delivery, transportation. This exhibition is for those IT companies who have contributed their effort to build system for postal service ministry. This exhibition has been a great opportunity for M3 Mobile to announce new products of ours and also to suggest our technology used to keep up with changeable industry environment.